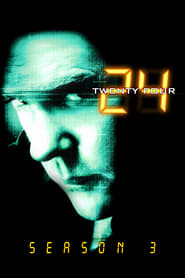 Season Three, also known as Day 3, of 24 premiered in the United States on October 28, 2003 and aired its season finale on May 25, 2004. The storyline starts and ends at 1:00 pm. The season premiere originally aired without commercial interruption, and has an extended running time of approximately 51 minutes, as opposed to the standard 43 minutes.